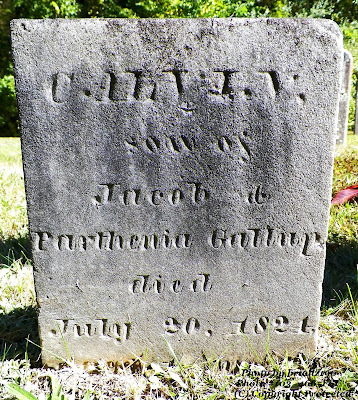 Little Calvin Gallup, born 13 June 1824, son of Jacob GALLUP and his wife Parthenia MORGAN, died 20 July 1824 at the age of 1 month. Calvin had four children born before him and another after him but only three children lived to adulthood. This gravestone shows the change is gravestone style from Calvin's little unnamed baby sister's ornate gravestone to this very simple square top with no ornamental carvings plus it is much easier to read the names and dates. 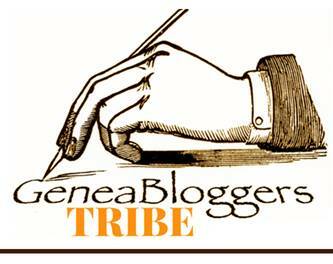 There is something to be said for simple when it comes to genealogy.